Posted on 09/19/2018 by Mickey McCarter	in Live Review and tagged country, Jason Boland, Jason Boland & The Stragglers, Texas country, The Hamilton, The Hamilton Live. 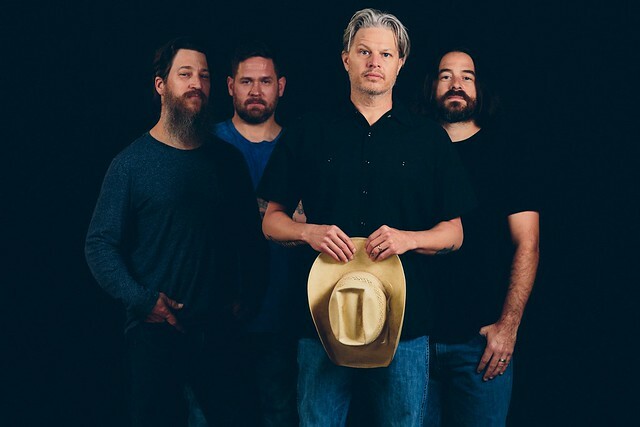 Jason Boland & The Stragglers released Hard Times Are Relative, their ninth studio album, via Thirty Tigers in May. The Texas country quartet next perform at The Hamilton on Sunday, Sept. 30. With his distinctive baritone, Jason Boland is first and foremost a storyteller. As ever on Hard Times Are Relative, he sings his tales with The Stragglers, a crew of honky-tonk aces including Grant Tracy (bass), Brad Rice (drums), and Nick Worley (fiddle, mandolin). “On their new release, Hard Times Are Relative, the band challenges our relationship with our past and our acceptance of the inevitability of change. This is intelligent, provocative fodder delivered with a danceable, edgy honky-tonk fervor that at times takes your focus off the lyrics as you bob and shake to the music,” said Jim Hynes in a review for Glide Magazine.